Kriol craftspeople are talented woodworkers, basket makers, and jewelry makers. 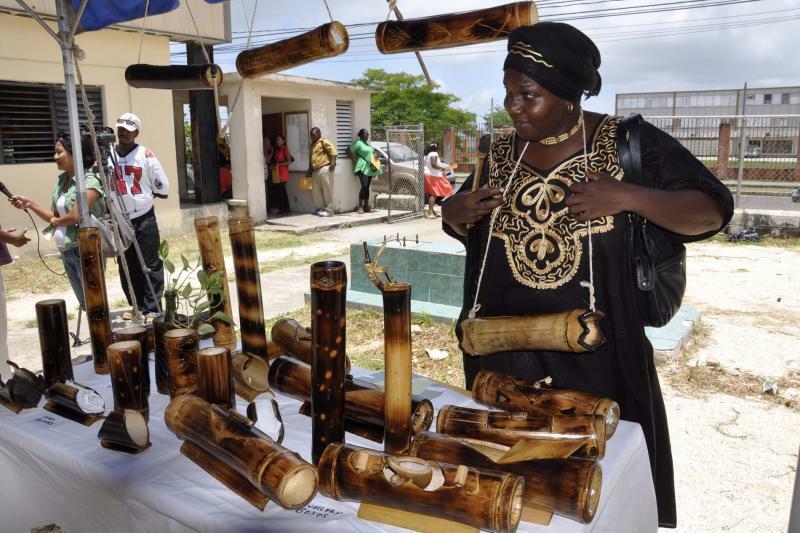 Brought from West Africa and adapted to local conditions, the art of wood carving has been handed from father to son for generations using many of the beautiful and exotic woods of Belize. In the older days mahogany carving products were common household items such as washing bowls, kneading bowls, and pieces of furniture. Today the emphasis is on sculptures for tourists. 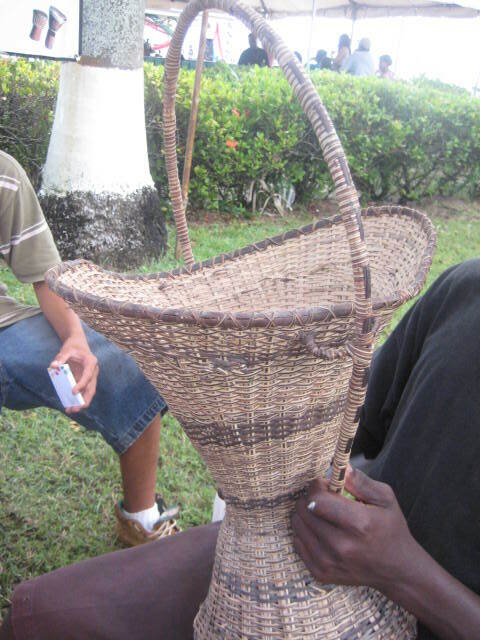 Kriol craftspeople make some of Belize’s finest furniture seen in many homes. The Kriol home itself, built of wood and up on stilts, is unique in Central America. The construction of the dug-out canoe, or dori (dory), is another skill once mastered by many Kriol men. Traditionally baskets were made from a vine called the tie-tie. Jewelry makers have adapted their trade to natural materials at hand, such as coral, shells, and seeds. Miss Janice Young at 626-7022 or by contacting the council directly. Thanks to the Social Investment Fund the KriolCouncil was able to implement a cultural entreprenueral project in 2010. Under the project a basket weaver and a bamboo craft facilitator was hired to train youths in the making of products from the tie-tie as well as the bamboo. Below are some samples of the work done by the youths and these are on sale at the Council's office at the House of Culture on Regent Street in Belize City.